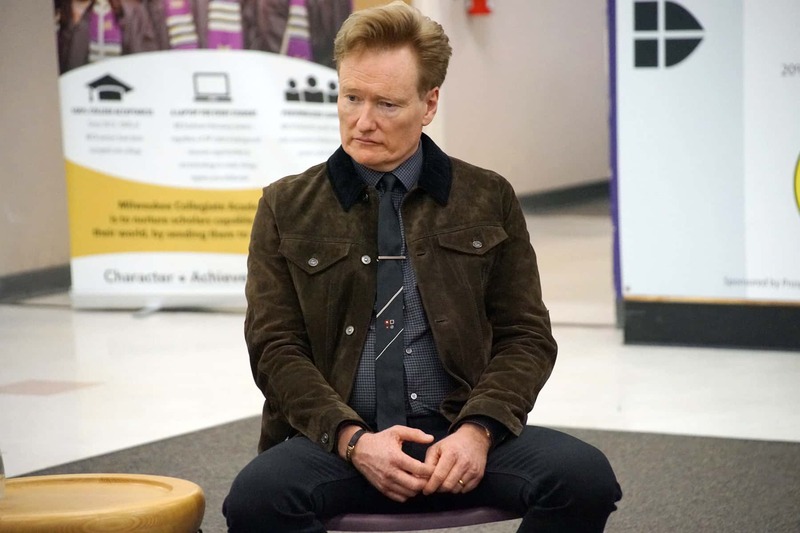 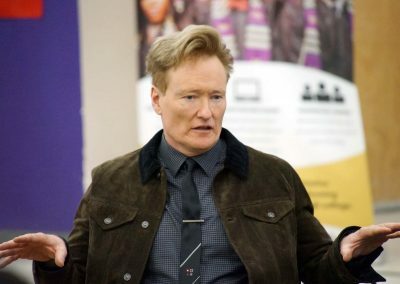 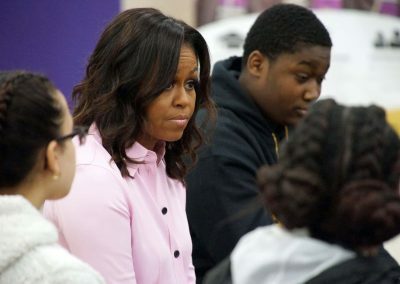 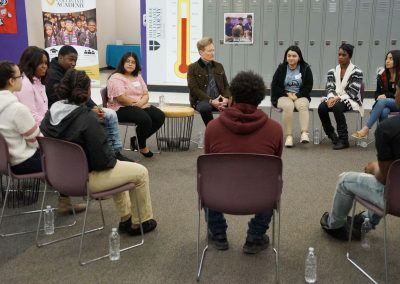 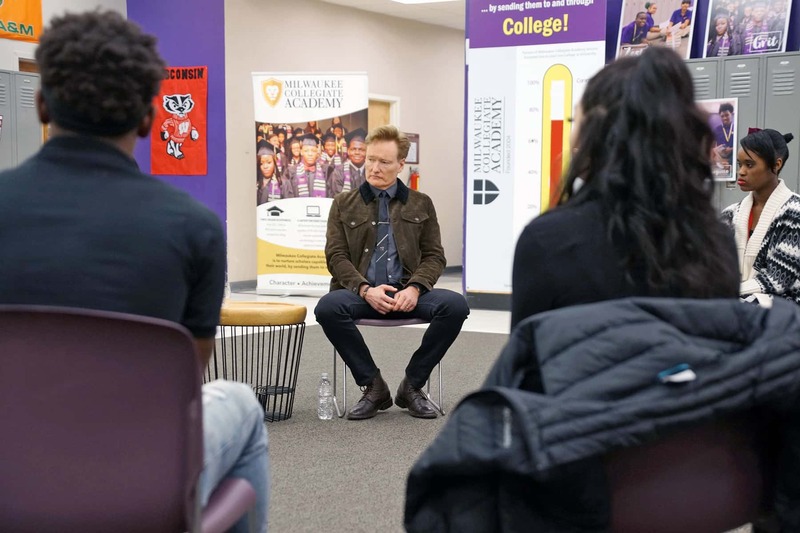 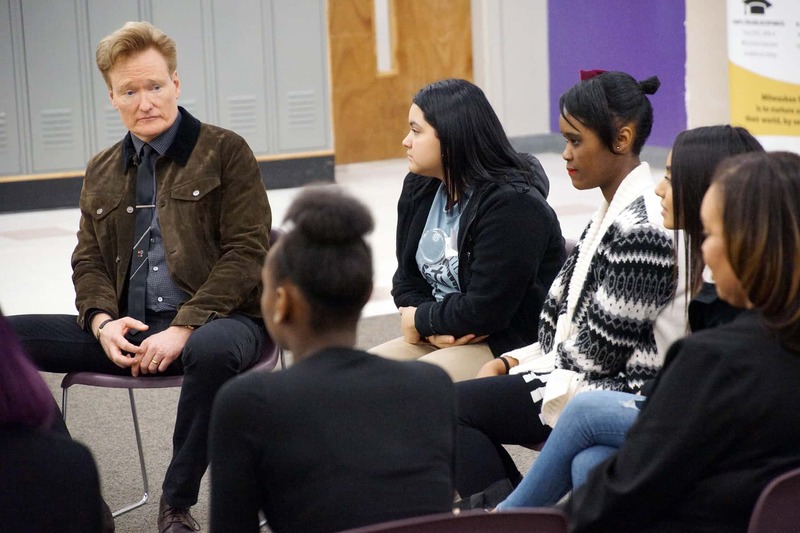 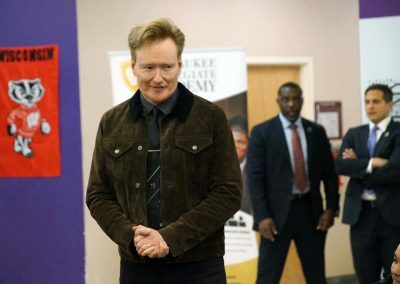 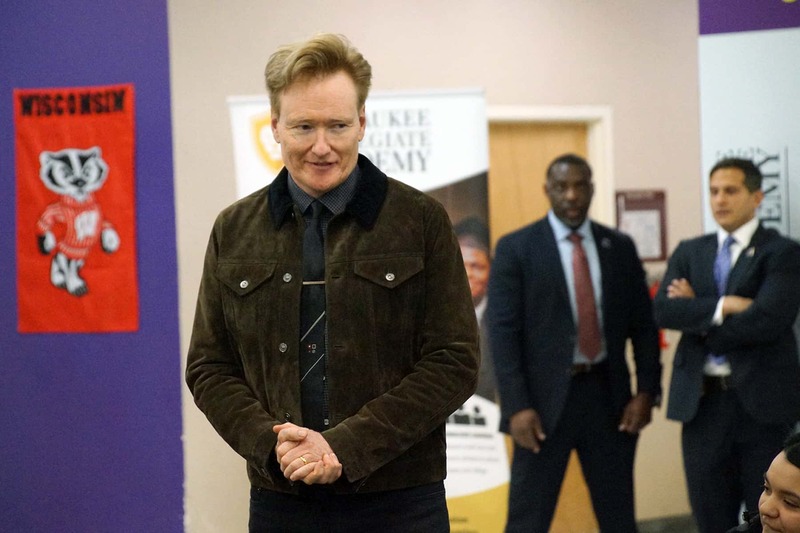 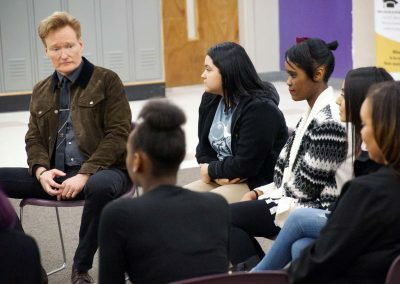 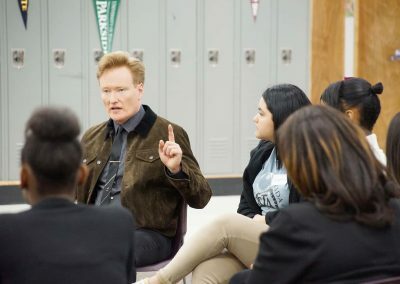 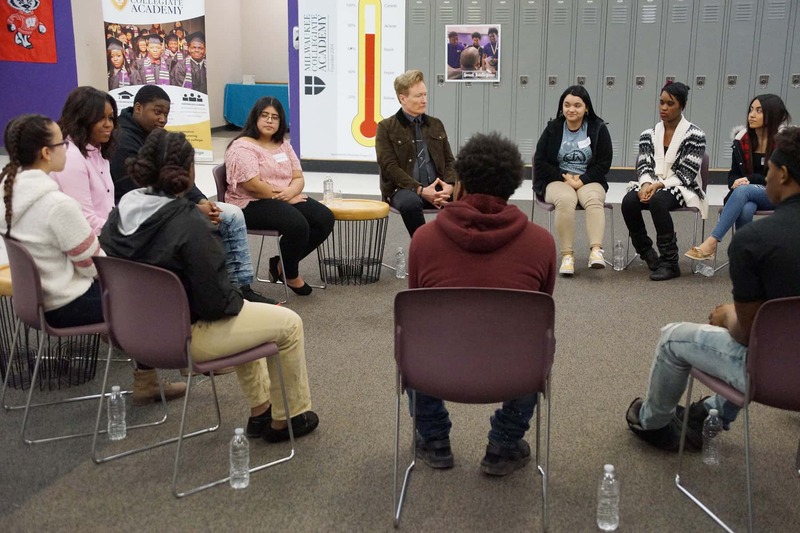 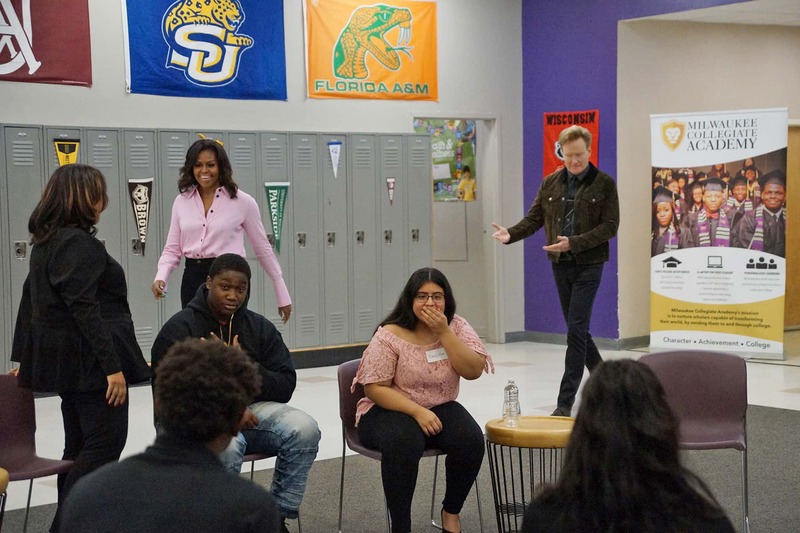 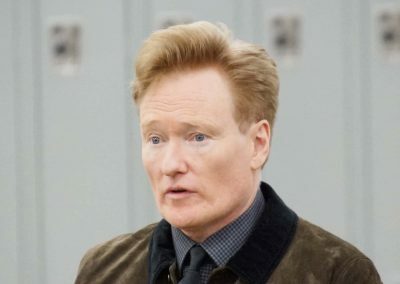 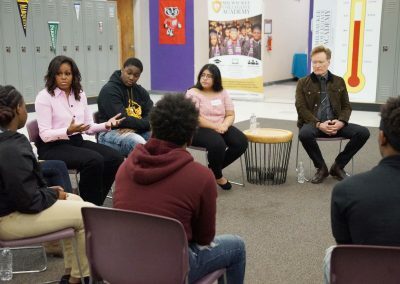 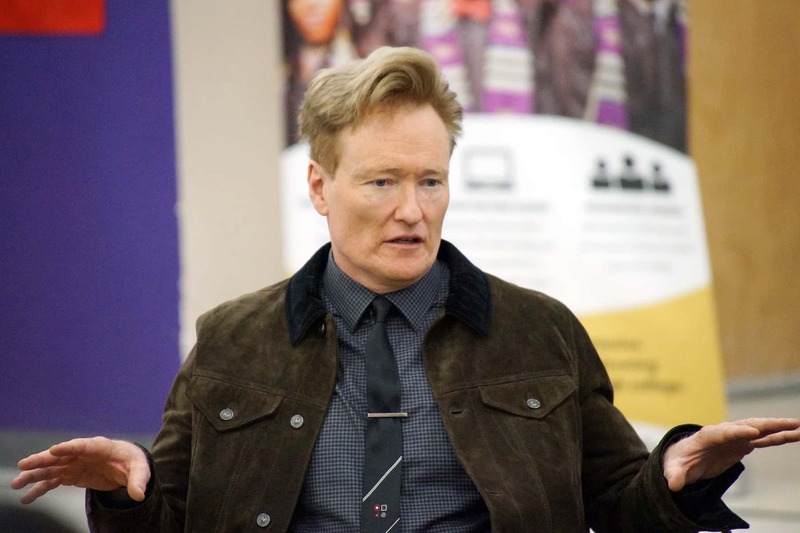 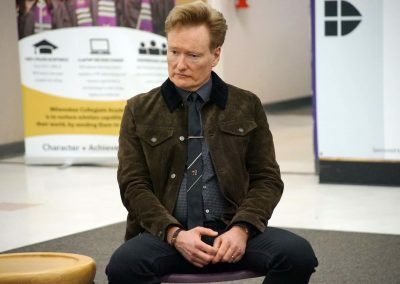 Michelle Obama and Conan O’Brien surprised juniors from local high schools at Milwaukee Collegiate Academy on March 14, as part of her nationwide “Becoming” book tour. 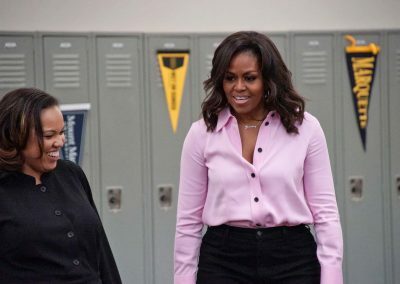 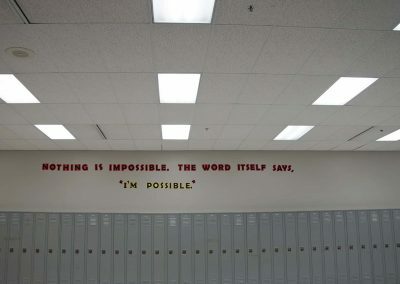 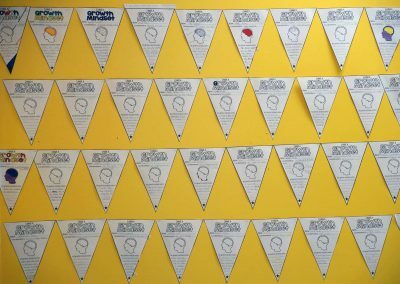 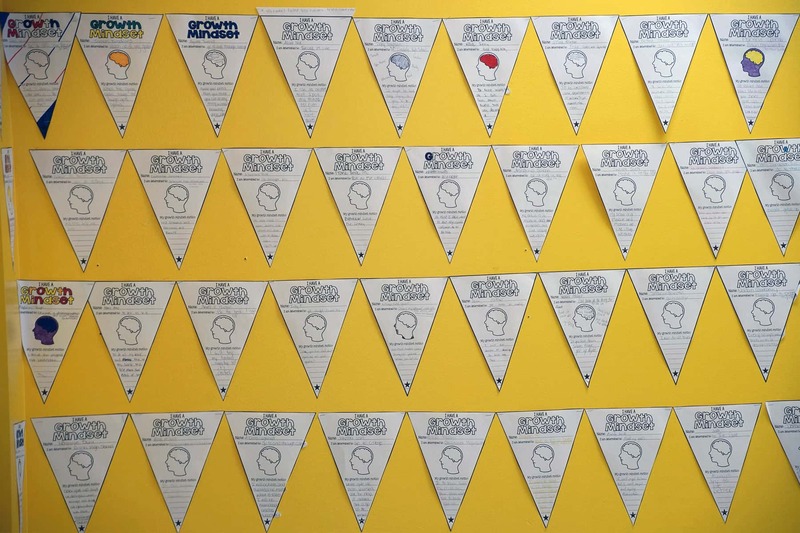 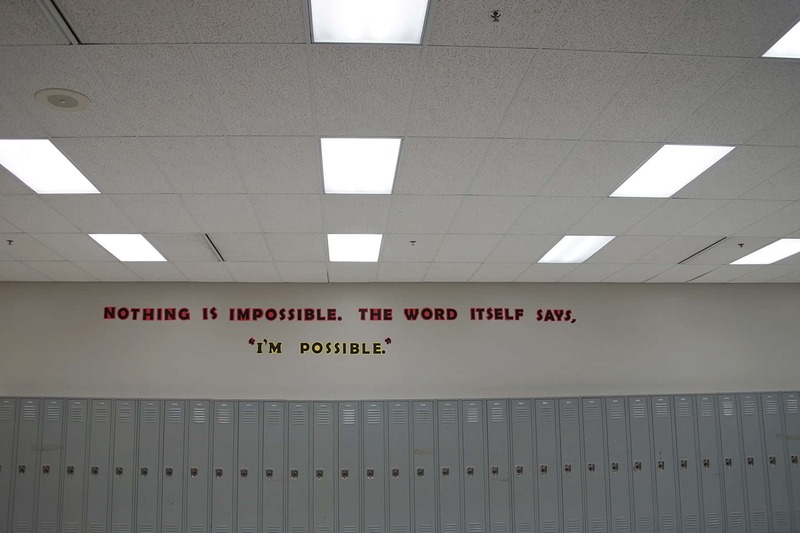 The private event was hosted by Reach Higher, and initiative launched by Mrs. Obama in 2014 to inspire every student in America to take charge of their future by completing their education past hight school. 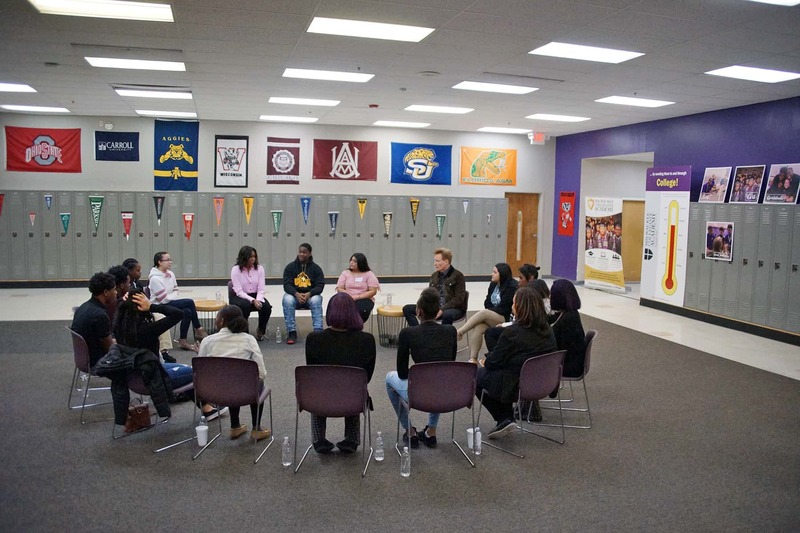 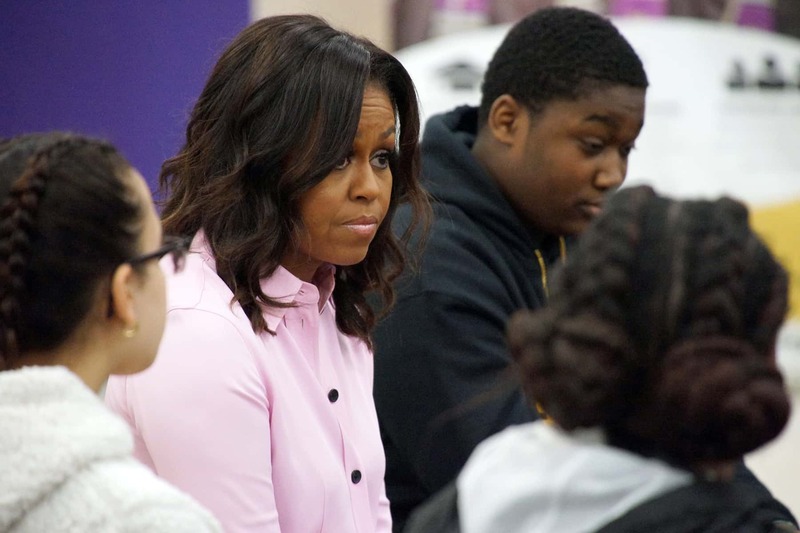 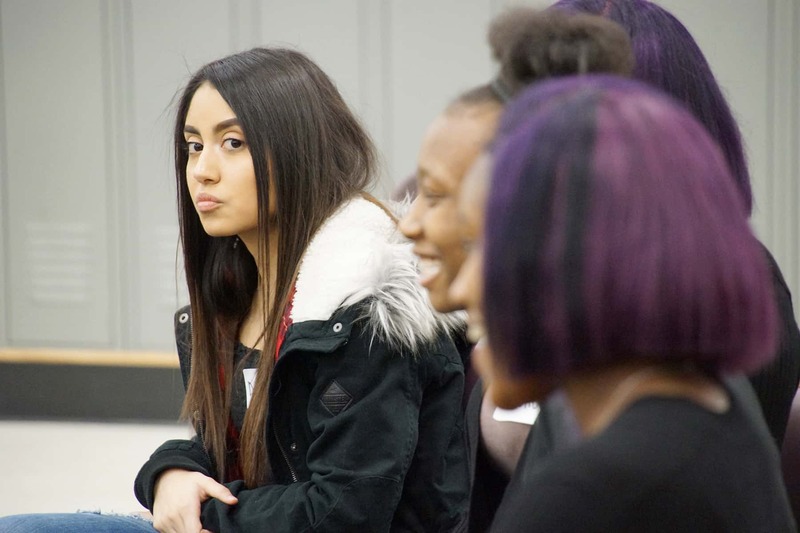 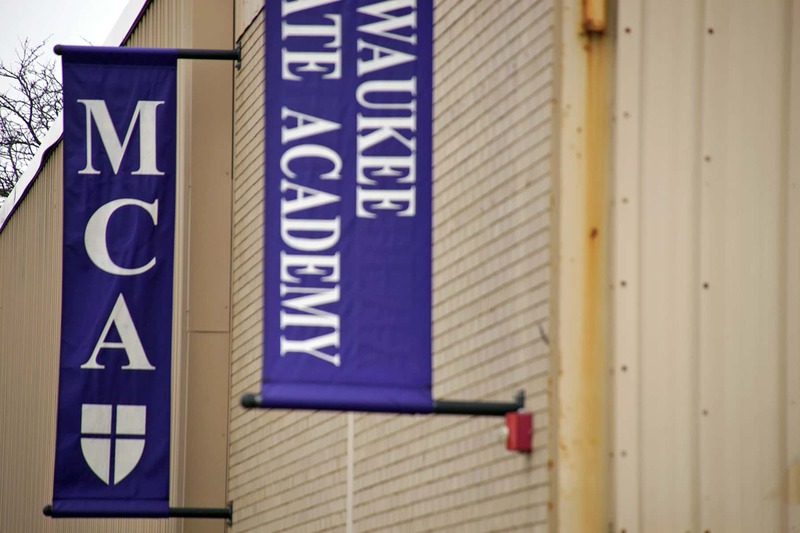 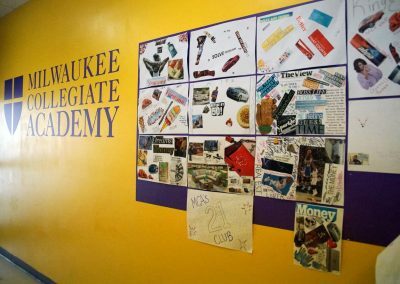 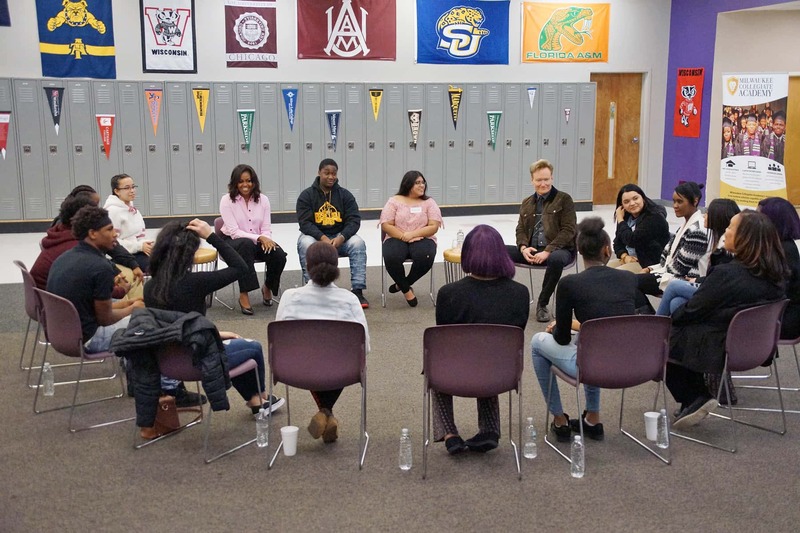 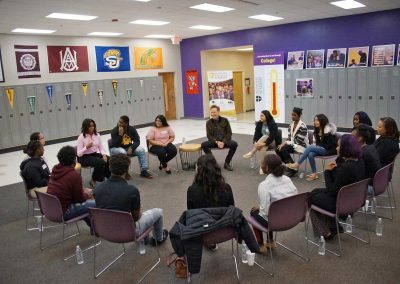 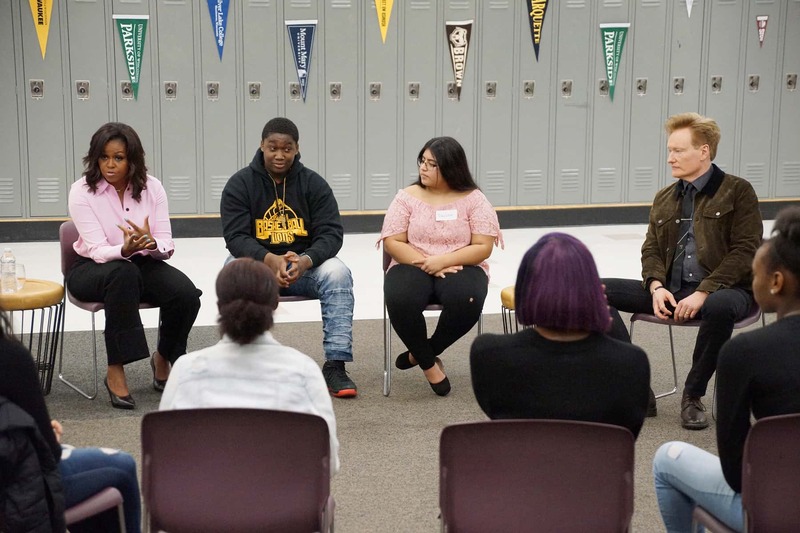 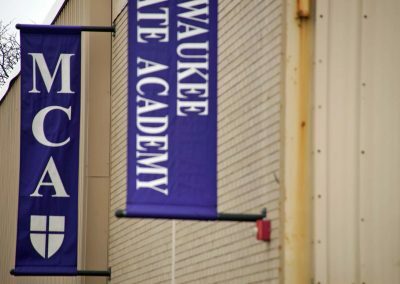 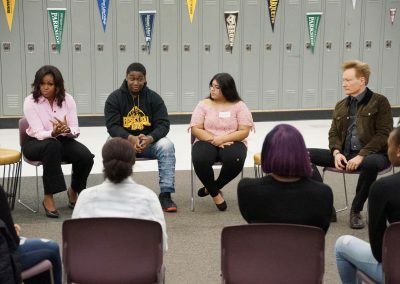 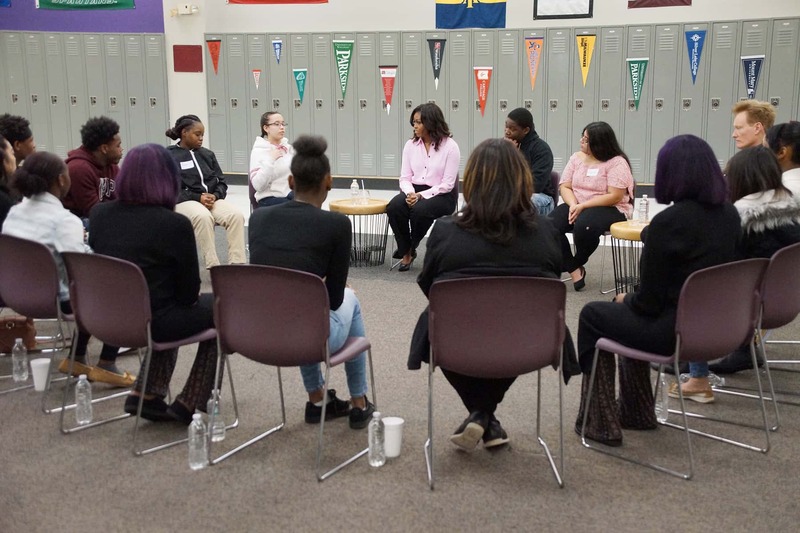 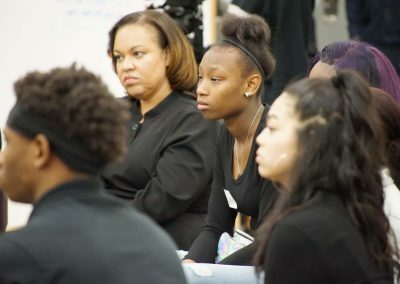 The high school juniors had gathered from different Milwaukee high schools to have an intimate conversation about education and social issues, when Mrs. Obama arrived unannounced. 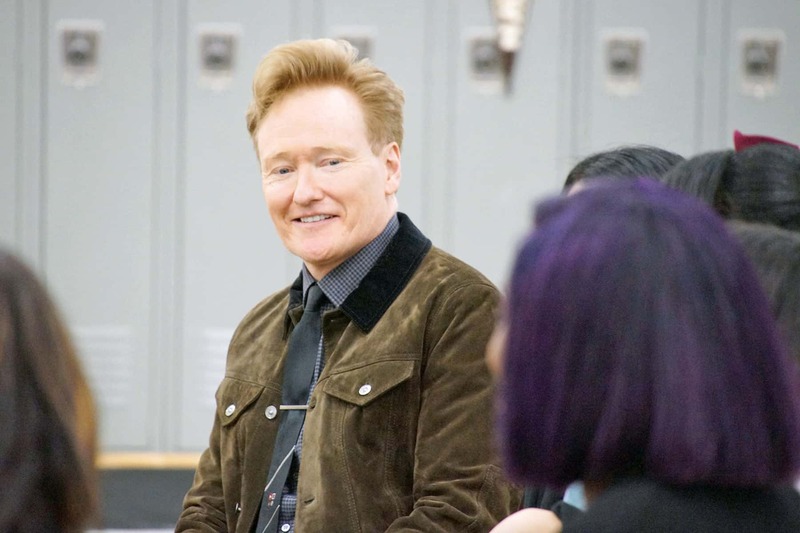 The students were speechless and excited. 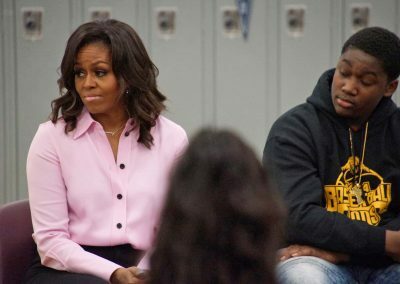 Mrs. Obama was in the city for her book tour, Becoming: An Intimate Conversation with Michelle Obama. 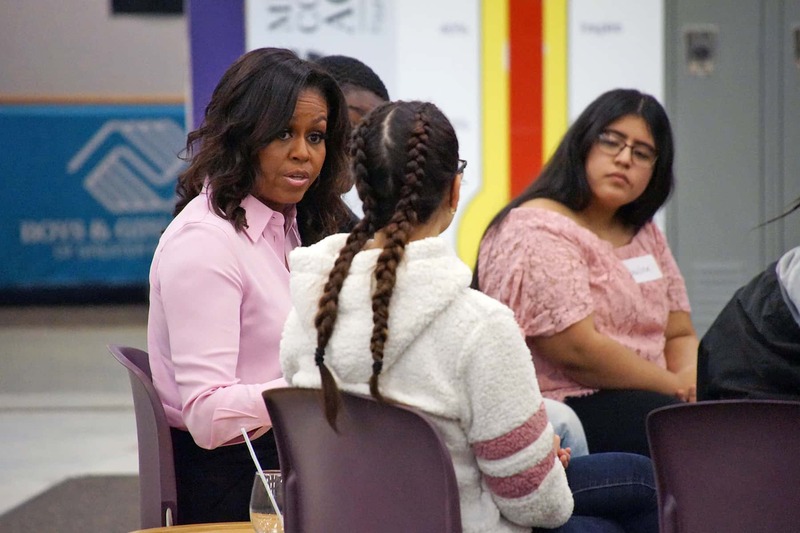 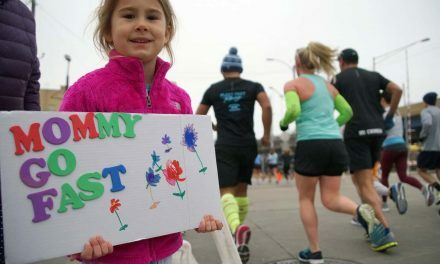 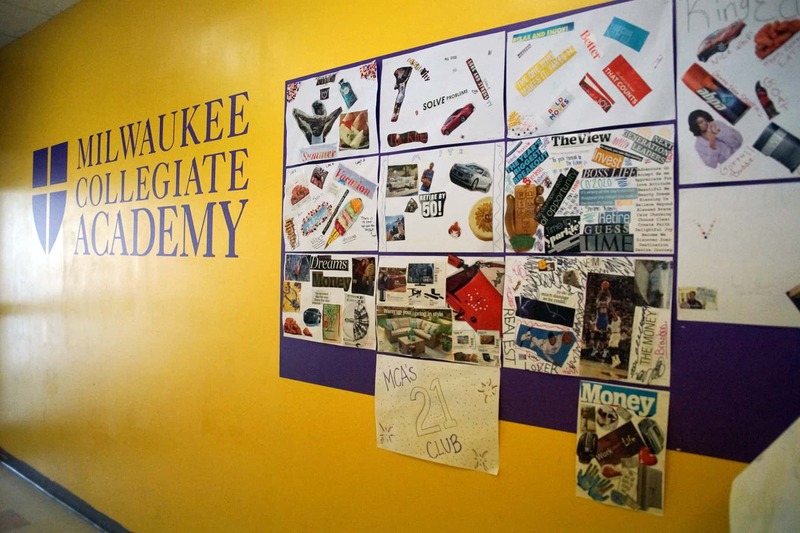 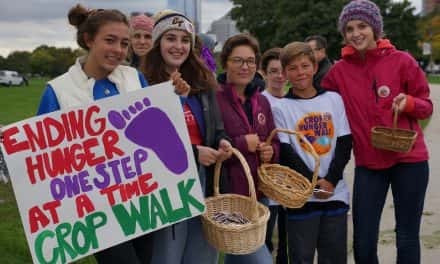 She has met with members of the local community at each stop she has traveled, and for Milwaukee she wanted to talk to students about continuing their education and answer any questions they had for her about her educational journey. 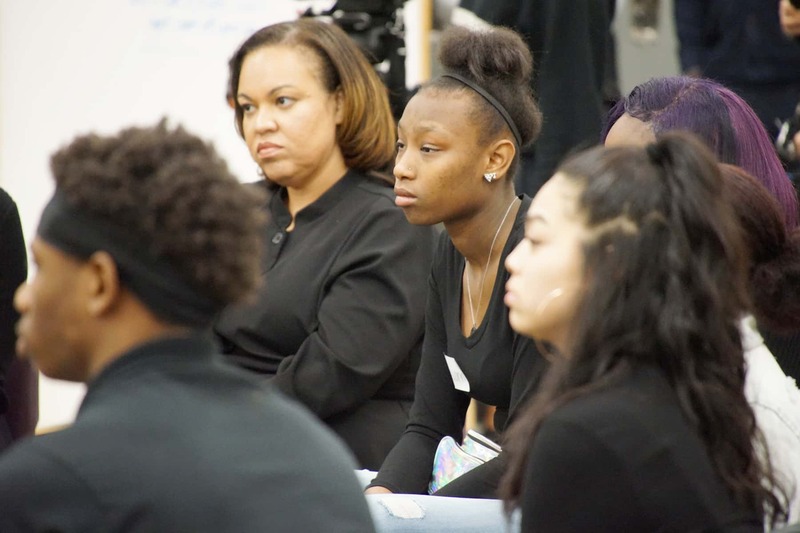 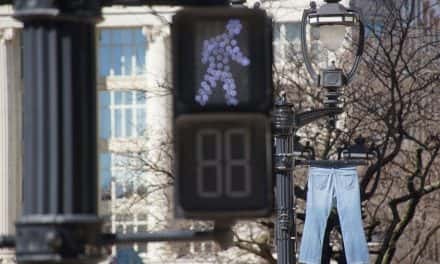 Her conversation focused on empowerment and other key themes from Becoming, including how young professional women have the option to “swerve” in their career path between marriage and motherhood. 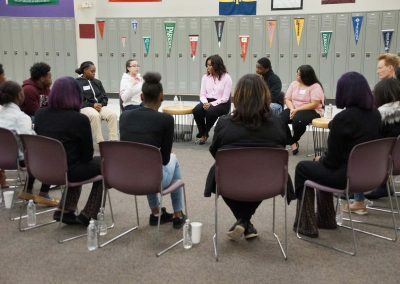 Some of Mrs. Obama’s previous stops meetings included a roundtable with high school seniors in Chicago, a “Black Girls Rock” roundtable in Boston, a visit to African American Museum with young women in Philadelphia, and a roundtable at the Motown Museum in Detroit. 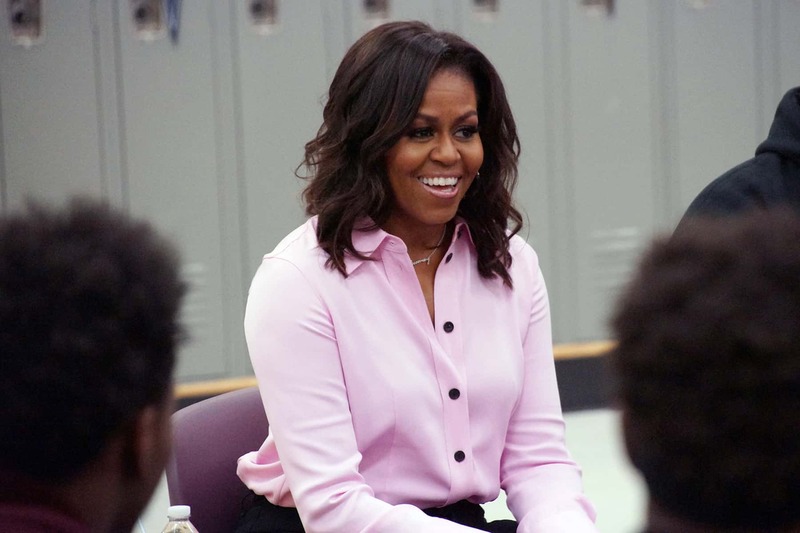 Since releasing her memoir last year, Mrs. Obama has been delighted to see the outpouring of support from readers across the country and around the world. 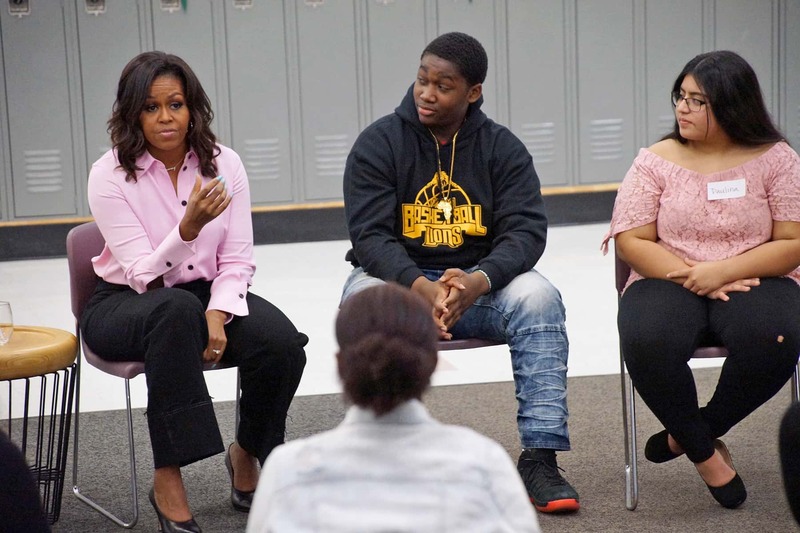 One of her favorite parts of the experience has been hearing from book clubs who are reading Becoming. 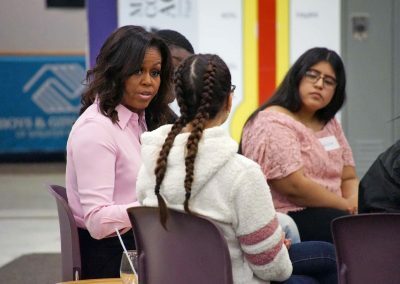 In addition to events like meeting with the Milwaukee students, book clubs have had the opportunity to receive free tickets to Mrs. Obama’s book tour. 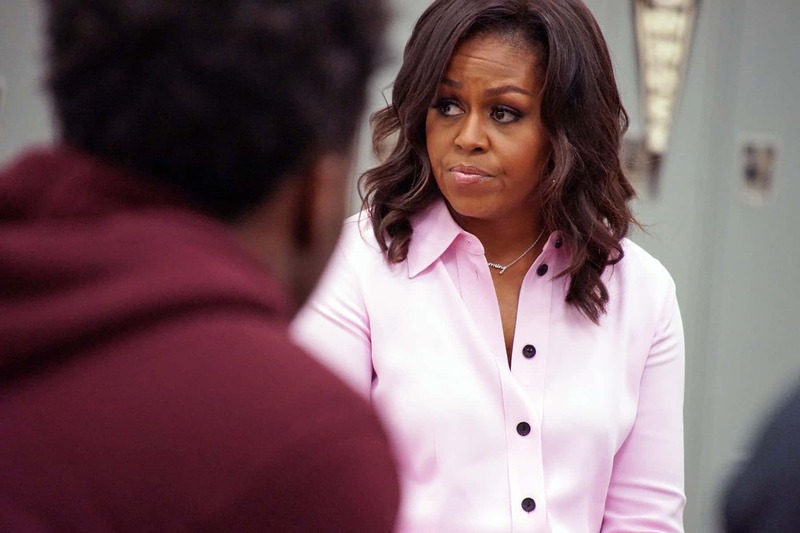 She has also been answering questions submitted by book clubs on her social media accounts. 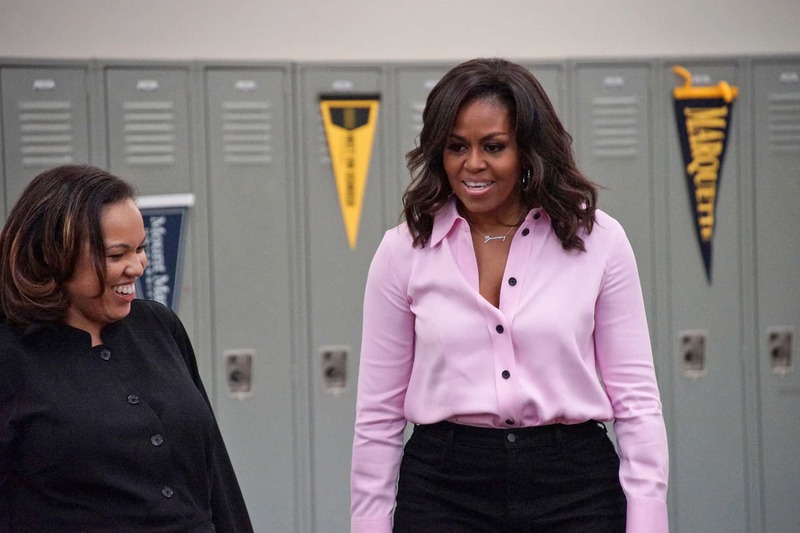 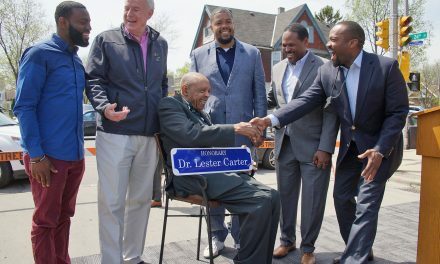 These photos show highlights from the informal gathering, and in the video segment Mrs. Obama talks about being black in college with white roommates.